HMS Submarine Tuna left Holy Loch in Scotland on the night of 30 November 1942 with a small team of Commandos. The team consisted of six double canoes and one man in reserve. They were part of the Royal Marines Boom Patrol Detachment (RMBPD) based in Southsea, Portsmouth, under the command of Major ‘Blondie’ Haslar and Capt JD Stewart, his second in command. The unit was only 34 men strong. 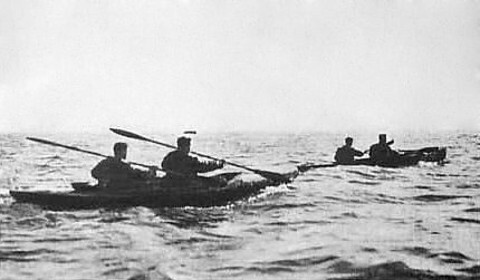 Six double canoes took part in the operation. Travelling by night, in dangerous tidal waters, the men’s task was to destroy enemy shipping on the Gironde in Bordeaux harbour using limpet mines. Having completed the task the men were then to make their way inland, escape overland into Spain and move onwards to Gibraltar. It was hoped that they would be able to make contact with an escape line along the route. HMS Tuna surfaced about ten miles south of the Gironde estuary, about a mile from the French coast and seventy miles from the target area. One canoe, CATCHALOT, was damaged whilst getting it out of the submarine hatch and it had to be left behind. The remaining five canoes, known as cockles, started in reasonably calm waters and headed into the flood tide of the estuary. The canoes were named CATFISH, COALFISH, CONGER, CUTTLEFISH, and CRAYFISH. CATFISH, with Major Haslar and Marine Sparks leading, led the canoes into the tide race. With their canoe spraydecks fastened down and waves crashing over them, the group weathered the tide race only to find that COALFISH was missing. The team returned to search for the canoe but could find nothing. Back on course they ran into a second tidal race much more powerful than the first. Once clear they found that CONGER had now capsized and its crew were in the water. Attempts were made to bale out the canoe but it proved impossible. CONGER was scuttled and its crew towed as far inshore as was possible without detection; both men swam to the shore. By this time the group were now nearer the shore than planned. The three remaining canoes passed through the shipping anchored in the estuary. Changing to single paddles they headed further along the Gironde River. Again disaster struck. Although they were following each other in single file, CUTTLEFISH became lost in the darkness. With the dawn starting to break, a daytime ‘hide’ location was urgently needed. As the dawn came up a sandy scrub-covered beach was spotted. The canoes were hastily dragged ashore, hidden with camouflage nets amongst the scrub and the men tried to get some rest after a very exhausting night. They awoke, disturbed by voices and saw fishermen and women heading in their direction. Although at risk of compromising their operation, the group approached the civilians; informed them that they were British and asked for their presence to remain secret. They were not betrayed. The next night, because of the flood tide, the two remaining canoes had to be carried for nearly a mile, together with all their equipment, before they could again be launched at 2300hrs. They then covered 22 nautical miles up river before laying-up for the night, again on a muddy beach amongst scrub. The following night brought more problems. Three hours of flood tide, six hours of ebb tide and a further three hours of flood tide before day-break. The party were now falling behind schedule. 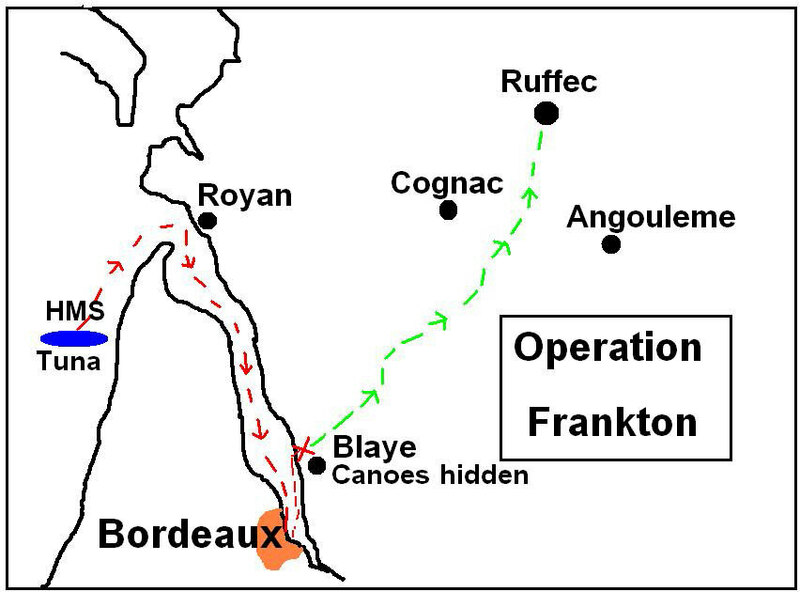 Consequently they launched their canoes earlier than normal the next night and were spotted by a French civilian. Offers of food and drink at the man’s house had to be refused. The cockles encountered narrower waters and the men became very conscious of the noise their paddles were making. The attack had been planned for the fourth night, but because they were not far enough up the river, Major Haslar delayed it until the fifth night, deciding to move in closer to the target area. They continued along the river with great caution and found a lay-up position in reeds, only a short distance from two large cargo ships. In their hide position, the men worked out details of the plan of attack. With only CATFISH and CRAYFISH now available, Catfish was to take the shipping on the east bank, and crayfish the shipping on the west bank. Nineteen limpet mines which had nine-hour fuses were placed; resulting in considerable damage to at least five large ships in the harbour. Adolf Hitler was furious. One of the cockles had been discovered and he demanded to know how ‘this child’s boat’ could have possibly breached all German defences and security, travelled over seventy miles at night in very rough seas and against the tide, then attacked and sank his shipping with not one of them being discovered! The answer that Hitler did not want to hear was that these ‘children’s boats’ had been crewed by well-trained, determined, and courageous, Commando raiders of the ROYAL MARINES. Major Hasler received a DSO for his part in organising and leading the raid and Marine Sparks a DSM. The RMBPD later became The Special Boat Squadron. 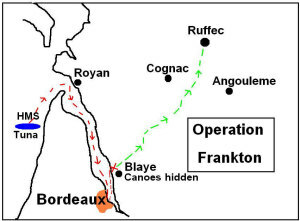 The Commandos’ final task was to leave the target area undetected then make their way through France in the hope of finally reaching England. They left and after a few miles wished each other luck, hid their cockles a quarter of a mile apart by sinking them and headed inland. The men headed north for Ruffec in the hope of connecting with the Marie-Clare Line that operated in the Ruffec area. Contact was made and Marie-Clare (Mary Lindell) had the men moved to Lyon while she travelled to Switzerland to report their contact. A route was arranged for them to travel to the south of France, cross the Pyrenees and return to England via Gibraltar. CATFISH: Major Hasler/Marine Sparks reached target area destroyed shipping. Returned home via Marie-Clare Escape Line and Gibraltar. CRAYFISH: Corporal Laver/Marine Mills reached target area, destroyed shipping. Last seen landing. Captured by Germans. Executed in Paris 23 March 1943. CONGER: Corporal Sheard/Marine Moffat capsized in second tidal race. Last seen swimming to shore off Point de Grave. Moffat’s body found later. Sheard’s body never found, presumed drowned. CUTTLEFISH: Lieutenant Mackinnon/Marine Conway last seen off The Mole at Le Verdon. Later captured by Germans. Executed in Paris 23 March 1943. COALFISH: Sergeant Wallace/Marine Ewart missing near Banc des Olives after first tidal race. Later captured by Germans. Executed near Bordeaux 12 December 1942. CACHALOT: Marine Ellery/Marine Fisher – canoe damaged on torpedo hatch of HMS Tuna. They were unable to take part in the raid. Marine N Colley was held as reserve. The ‘Frankton Trail’ is a hiking trail dedicated to the RM Commandos who took part in Operation Frankton. Known as the ‘Cockleshell Heroes’ raid, the route starts at the memorial to the raiders at St Genes de Blaye where the crew of Catfish hid their canoe after the raid. Walkers are broken down into teams with equal numbers of French and British walkers. 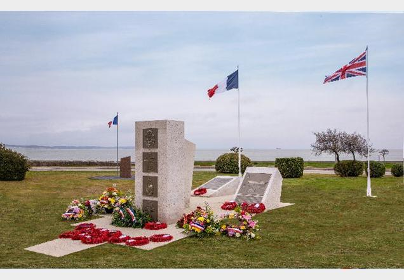 Each team will walk a section (6 sections) of the historical evasion route of approx 160km, from the memorial to Ruffec, where Major Haslar and Marine Sparks made contact with the Marie-Clare Line and subsequently crossed the Pyrenees and returned to England. The event is organised by the French Frankton Souvenir Association and supported by the RM Commandos and the SBS Association. This is a French/RM event. See ‘Contacts’ in ‘Research’ section.